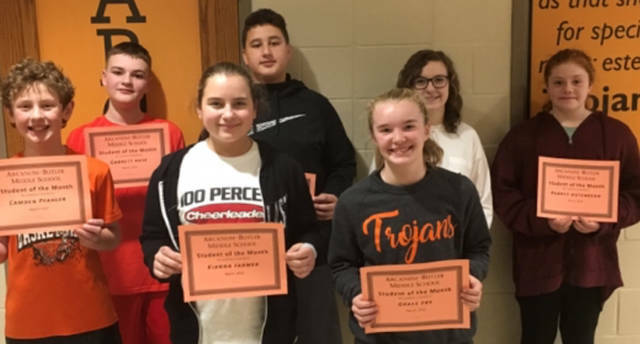 Arcanum-Butler Middle School announced its March Students of the Month. Pictured are (front row) Camden Pfahler, Kianna Farmer, Grace Fry, (back row) Garrett Rose, Dylan Dillman, Olivia Shaffer and Aubrey Hutchinson. Not pictured is Nick Sharritts.